The prismatic piano variations album observes this old musical genre from prismatic angles, seeking new meanings from respective generations. Departing from Handel’s so-called “Harmonious blacksmith,” an Air with its doubles, founded on traditional constant-harmony variations, is furbished in the English division style. The assured works by Medtner and Brahms are Variations Serieuses that make imposing intellectual demands on the listener. In Medtner’s works, the modernism is almost always hidden under traditional manifestation. In the same way, the only original theme by Brahms, he expresses introverted romanticism under the disguise of this traditional variation form. This is made apparently already by the mere fact that they are both variations with intricate contrapuntal texture and harmonies. When the public expects a high degree of entertainment from variation works and, above all, virtuoso execution from the performing artist, this could result in a particular superficiality in the composition, as in countless variations brillantes of the nineteenth century. Chopin’s Variations Brillantes, Op. 12 and Grande Polonaise Brillante, précédée d’un Andante spianato, Op. 22, however, are works in grand style, par excellence virtuosic, without being superficial. Chopin skillfully varies the melodic lines and places the astonishing fioriture, transforming both works into the exuberant world of pianistic arabesque. Finally, Rachmaninoff’s Variations on a Theme of Corelli, Op. 42, utilizing diverse rhythmic patterns and tempi, develops the melancholy “La Folia” into a set of bold and characteristic variations. 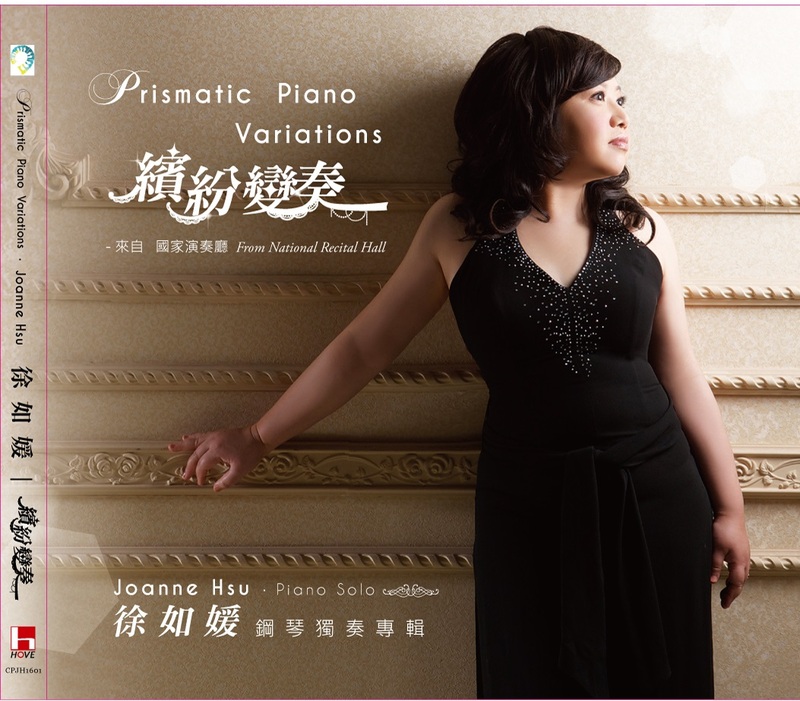 Prismatic Piano Variations Recital was presented on November 16, 2015 at Taipei National Recital Hall, in which two encores were also included to complete this album: Rachmaninoff’s prelude in G major, Op. 32, No. 5 & Chopin’s Mazurka in D-flat major, Op. 30, No.3.